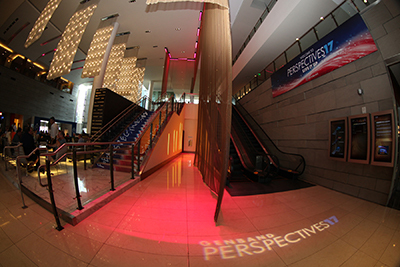 Our fifth global customer and partner summit, Perspectives17 was an amazing Hollywood production, filled with incredible speakers, VIP networking, women in tech workshop and the advancement of the very ideas that are shaping the future of how we will communicate in real-time. 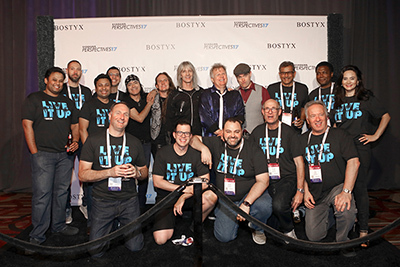 The world of human communications has been turned upside down over the last few years, and it's been a real honor and joy to be able to contribute to the collaboration, as GENBAND and our cloud platform, Kandy, are part of not only networks, but applications as we continue to evolve to a software defined world. 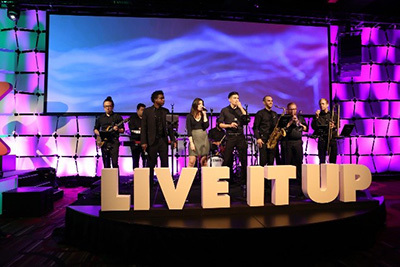 This year, as part of our first year gathering in downtown Los Angeles in the center of tremendous technology growth and massive real estate investments in the L.A. LIVE area, we opened up our general session with a special welcome message by the Los Angeles Mayor Eric Garcetti, while an R&B, Rock and Roll and Soulful vibe thanks to the remarkable Soul Tones band entertained the audience and kept them energized throughout the day. There is something magical about "the moment" when over 600 people, who traveled from countries around the world, experience ideas and each other in real-time. The entertainment didn't stop with the band, as our own Chairman and CEO David Walsh channeled his inner stand-up comedian to wow the crowd showing how enterprise value is being created today, with companies like Uber worth more than GM, companies like Airbnb worth more than major hotel brands, and companies like Spotify worth more than all the major record labels put together. Followed by keynotes from our customers, including the brilliant CEO of Deutsche Telekom's Immmr, Judit Andrasi, who shared her experience building a "startup" inside a massive technology company, and powerhouse Pam Chandor Global VP, Market & Industry Sales for IBM Collaboration & Talent Solutions, we celebrated women in technology throughout the week. This included a Women in the Channel event, which drew in dozens of executives, an initiative GENBAND sponsors and we were excited about adding to the official agenda of Perspectives17. Keynote speakers also included many of our own executives, as well as Greg Pelton, CTO and VP at Polycom; Mark Winther of IDC, one of the top industry analysts in the world, lead a panel on innovation, while Keate Despain from Intel shared a view into the future of massive processing, and Wendell Black shared what is driving rapid growth at Five9, including their deployment with Kandy for Hulu. Over the five-day event, so many great sessions were held, as well as a dynamic solutions showcase my rock star marketing team put together, demonstrating real-time communications - in real-time! The special events, including a perfect evening in Microsoft Square, and a rock concert performed by BOSTYX featuring David Victor (blending talent from Boston and Styx), gave our guests the opportunity to unwind and network, to share ideas, negotiate deals, and imagine the future together. 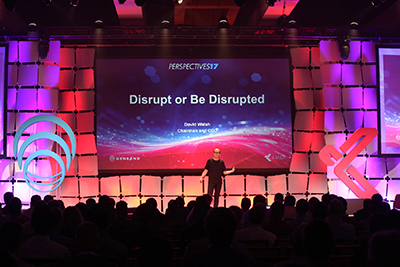 Events like Perspectives17 humanize the work we do so very often "remotely," as our virtual communications tools continue to increase to the point where it feels like we really are together, enjoying real face time. But there is nothing like being together, in person, at least once a year. While we love participating in all the major industry events around the world, our own private event has a special, intimate feeling - and while we work very hard to ensure the entire week runs smoothly, by the time my team and I arrive we are ready to have a really good time! This year, the digital reach of our event was stupendous - we generated over 21 million #GBP17 impressions through our social media streams, bringing visibility to our partners and customers, as well as promoting our own disruptive technologies and solutions for service providers, Independent Software Vendors, Systems Integrators and the large enterprises we partner with and serve. This is a vibe that will continue to grow, a pulse and a promise of great things ahead, as GENBAND and all our customers and partners, our entire dynamic ecosystem, steps up to serve new generations of people in this hyper-connected world. Big thanks to all who participated and to all who followed us and continue to follow us, on this blog, in social media, and at events including Perspectives18 back in my hometown in Los Angeles, Jun 3-7, 2018!